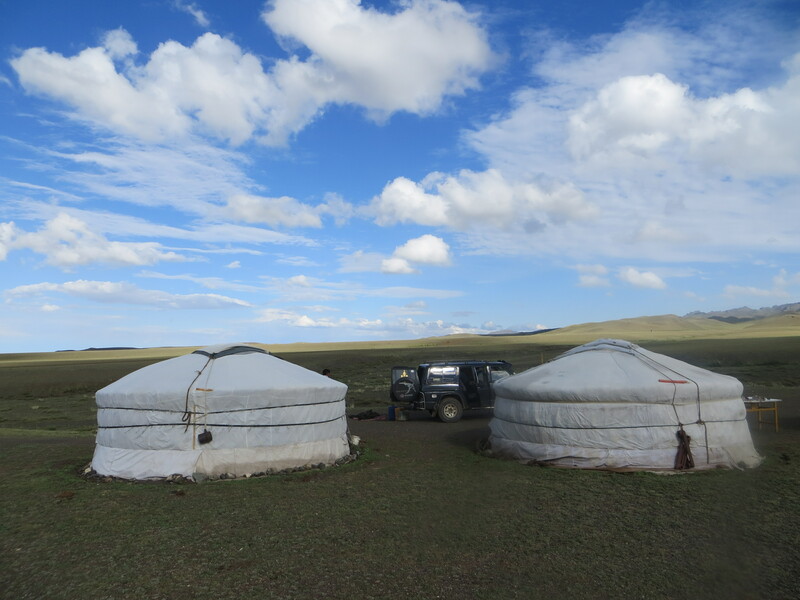 We take off on a 14-day excursion into the wild Mongolian countryside, after booking this tour through the Khongor Guest House. Into the old Nissan Pathfinder we go, with Amraa, our driver, and our English speaking guide, Erka. Soon, we bounce and twist over impossible dirt roads, often blazing new trails. 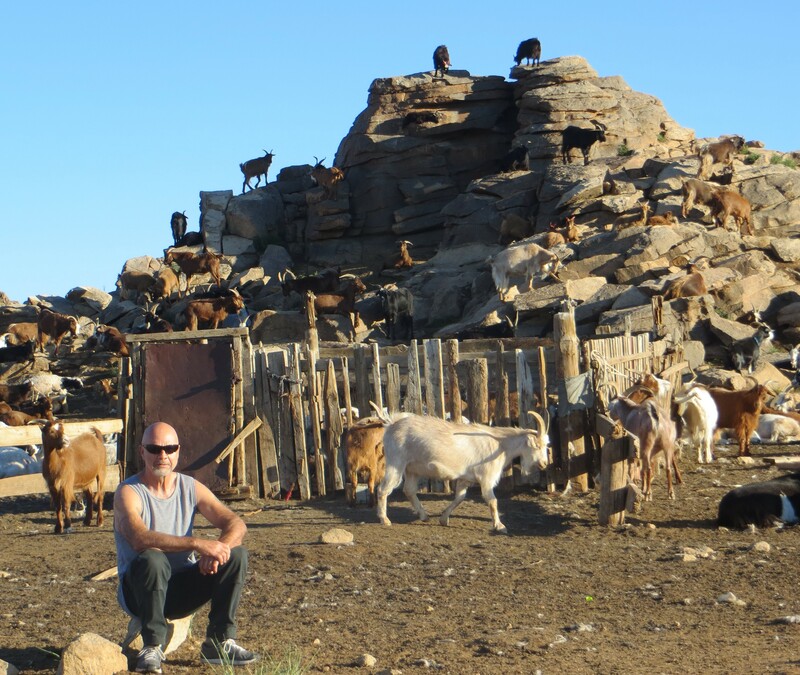 After sleeping the night in a ger, a herd of nanny goats awakens us with their cries, while horses whinny, and dogs bark in the distance. 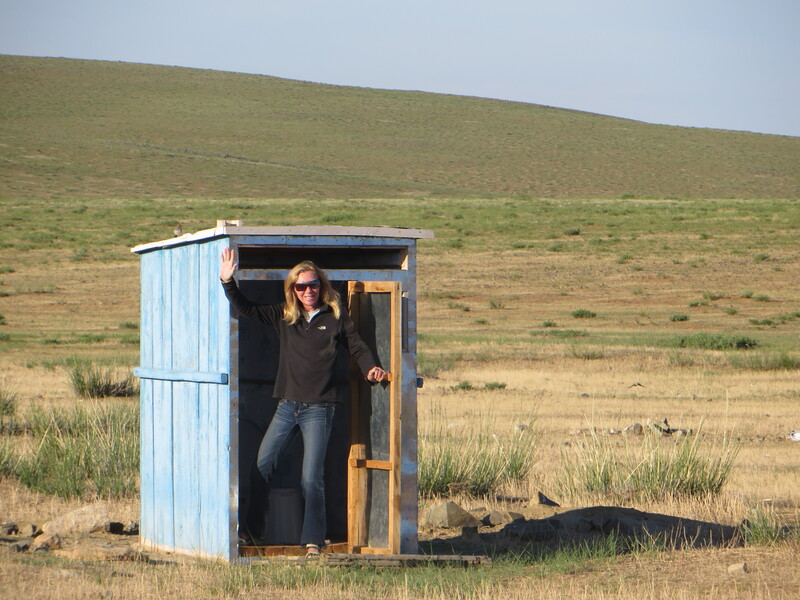 In the Mongolian countryside, you never know who will walk into your ger. 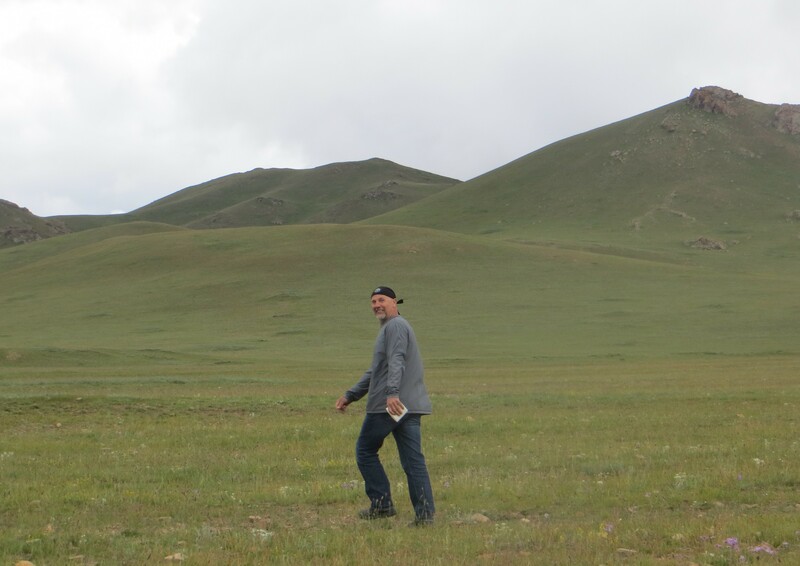 “There are 3 million people in Mongolia,” Erka says. 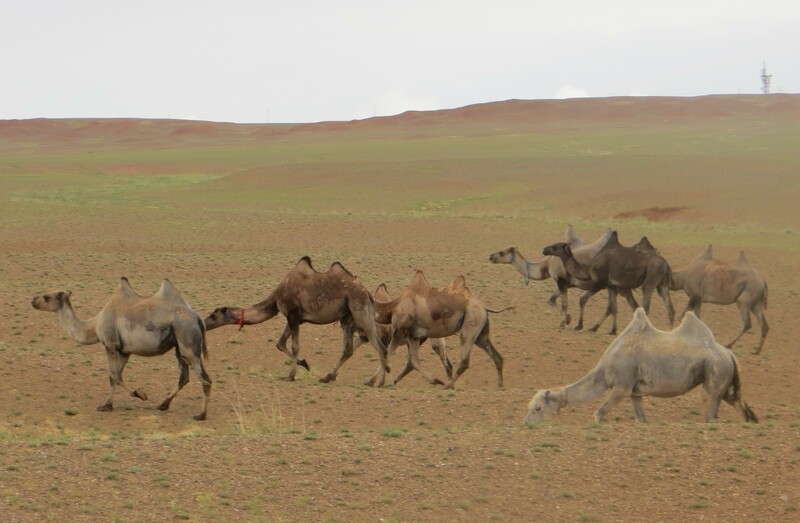 “We have over 40 million livestock.” We pass herds of two-hump camels the deeper we delve into the Gobi Desert. The small weeds we roll over smell like onions. 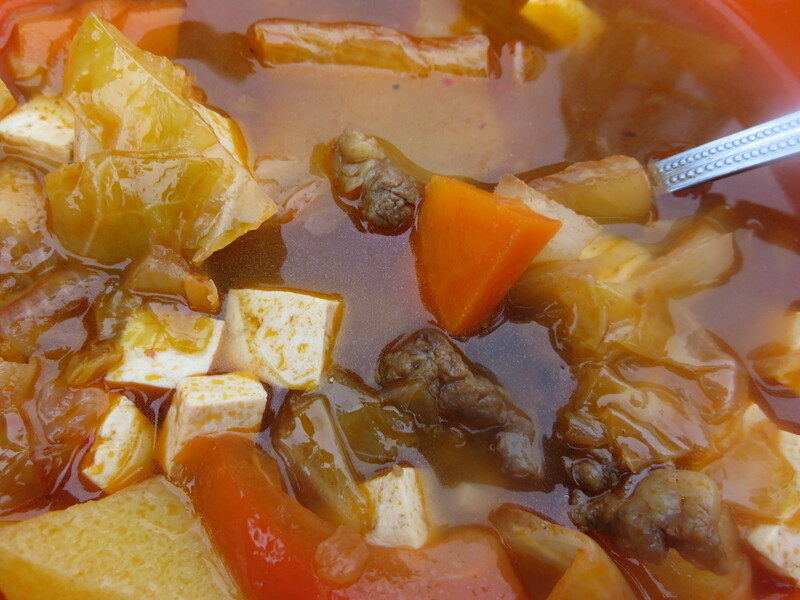 Erka explains that they are herbal, used as medicine, as well as sprinkled onto potatoes. This land goes on forever. It feels like I’m standing on the North Pole, looking around and down the slope of Planet Earth. Countless individual cotton balls cloud the bluest sky. We come upon a family in the middle of nowhere, whose car has a broken front axle. Amraa (who earns the nickname MacGyver) jumps out, as does the other driver, Guuve (who earns the nickname Speedy). 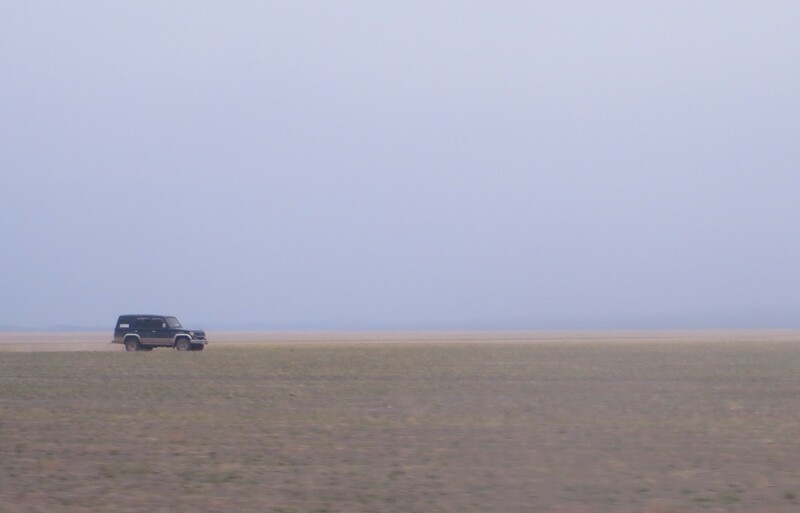 Guuve follows us in his Land Cruiser with three other tourists, as it is safer to travel with two cars in the Gobi. They get right to work, and remove the front axle, replace and grease bearings, strap a long bolt along the broken axel and wrap cable around it. One-hour later, the family is back on the road. Guuve was once broken down out here for two days before another car came by to help. Everybody helps each other without saying a word. 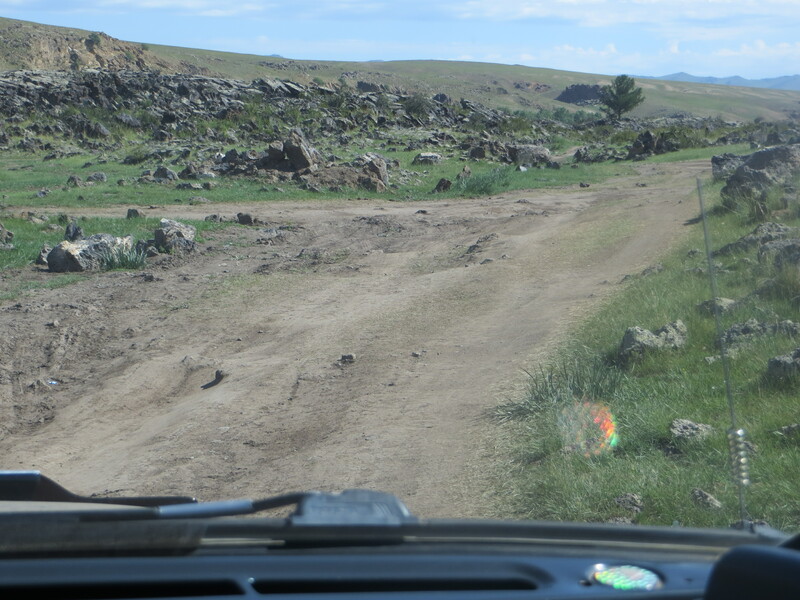 It is the Mongolian way. Erka cooks for us. Nescafe every morning, and mutton mixtures most days, along with bottled water. A bond between the four of us begins to build, as we drive many hours each day listening to Mongolian country music, while marveling at the endless view, as well as the driving skills of MacGyver. Having cooked meals is the only luxury out here. Going to the bathroom means an outhouse where you squat over a hole between two planks of wood. 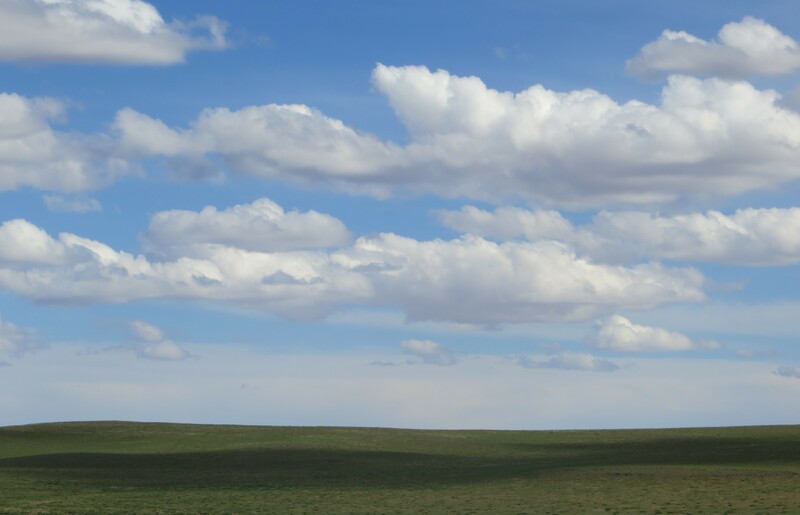 The other option is to walk out into the vast steppes, where you have a much better view. We hope our supply of toilet paper lasts. 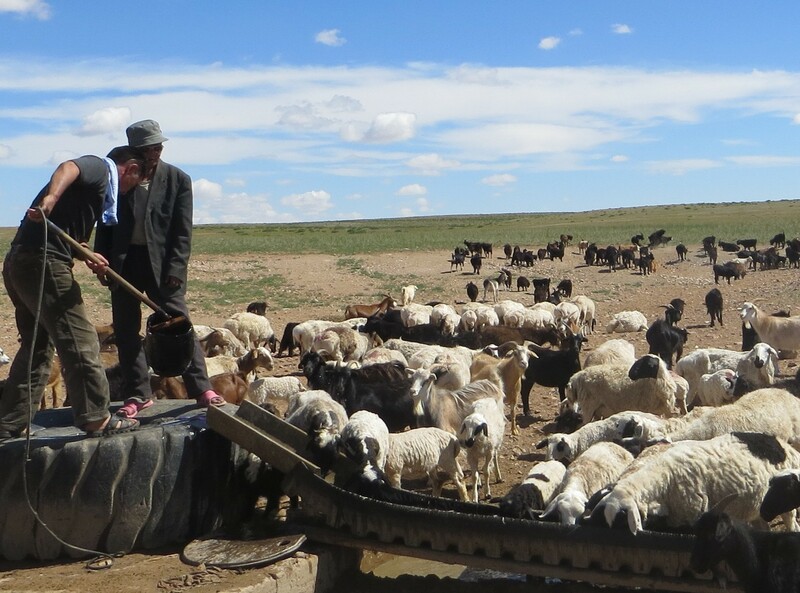 Nomadic families fold up their gers and move four times yearly, with the extreme seasons, to care for their herds. Mare and I usually sleep in one of their extra gers. 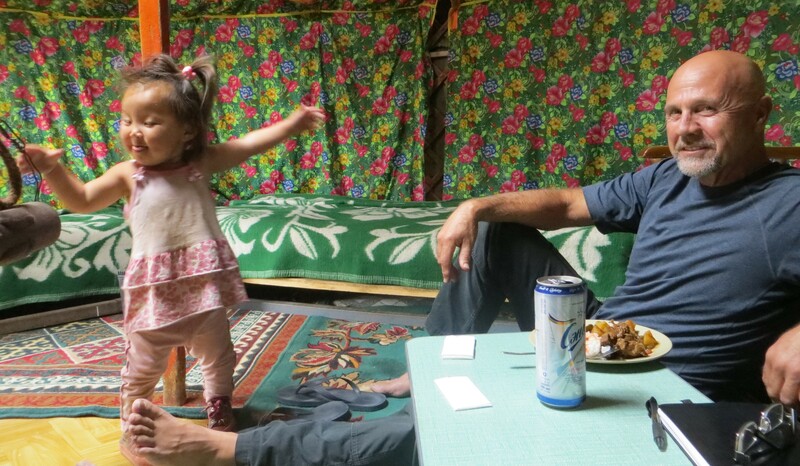 Erka approaches these families and asks if they have room for us. 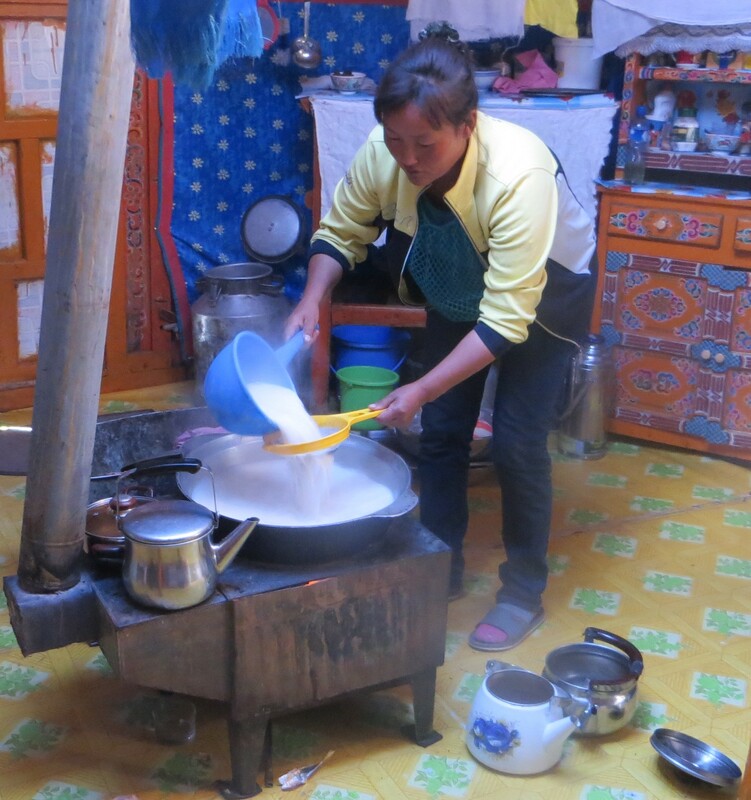 They never say “No.” In fact, they enjoy the company, and offer us bowls of fresh goat yogurt, as well as Suutei tsai, which in this part of Mongolia, is hot goat milk with salt. We sit outside the ger in the evening, usually with a can of warm beer. The exhilaration and awe of this “other” world inspires a foreign spirit within us. Yes, Vicky, very refreshing to hang out in such a friendly culture.